A great favourite with children. This early maturing variety produces lots of tiny miniature green bell peppers, maturing to shiny chocolate brown and bursting with sweet flavor . The thick walls and sweet taste make this a wonderful addition to salads and and great as a snacking pepper for lunchboxes. Very productive sturdy plants with a long picking season. 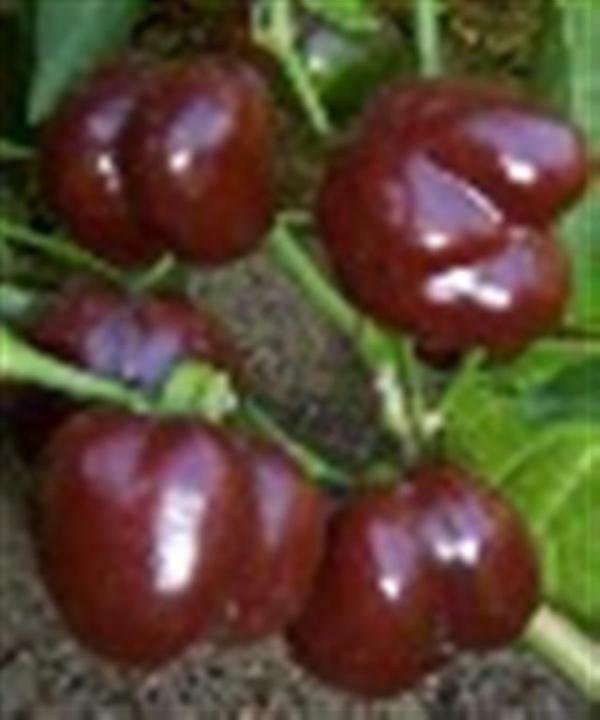 May be picked green or left to mature to the stunning glossy mahogany chocolate brown color.